The Israelis mow the grass in Gaza; again. Yitzhak Rabin played a leading role in the signing of the Oslo Accords, which created the Palestinian National Authority and granted it partial control over parts of the Gaza Strip and the West Bank. Prior to the signing of the accords, Rabin received a letter from PLO (Palestinian Liberation Organization) chairman Yassir Arafat renouncing violence and officially recognising Israel, and on the same day, 9 September 1993, Rabin sent Arafat a letter officially recognising the PLO. After the historical handshake with Yassir Arafat, at the South Lawn of the White House on September 13, 1993, Rabin said on behalf of the Israeli people, "We who have fought against you, the Palestinians, we say to you today, in a loud and a clear voice, enough of blood and tears ... enough!1a"
In 1994, Israel granted the right of self-governance to Gaza through the Palestinian Authority; and Yitzhak Rabin, Yasir Arafat and Shimon Peres received the Nobel Prize for Peace. The Accords however greatly divided the Israeli society, with some seeing Rabin as a hero for advancing the cause of peace and some seeing him as a traitor for giving away land they viewed as rightfully belonging to Israel. And on the evening of 4 November 1995, Rabin was assassinated by Yigal Amir, a radical right-wing Orthodox Jew who opposed the signing of the Oslo Accords. From that fateful moment, the dream of a two state solution in Palestine steadily receded and on the 8th of July 2014, the Israel Defense Forces (IDF) launched Operation Protective Edge in the Gaza Strip1 – also known as the largest open air prison where the Israelis and the Egyptians are the prison-wardens. Here is a preliminary account of the casualties and of the destruction caused by airplane / tank raids during the 2014 incursion1 at the time of writing – Mid August 2014; as the incursion continues, the number of casualties given here should be considered as minimal. 10,800 homes are totally destroyed or severely damaged. 33,100 homes are damaged but are still inhabitable. 26 health facilities are damaged. 1.5 million Gazans have limited or no access to water supplies. 64 soldiers and 2 civilians killed. Regrettably we are destined to witness casualties and destruction caused by this incursion into Gaza comparable to the casualties and destructions caused by the First and Second Intifada – uprising / resistance / rebellion – that took place during the period (1987-1991) and (2000- 2005) respectively. The reasons for the latest incursion into Gaza and the previous incursions vary but we are indebted to Benjamin Netanyahu, Israel’s current PM, for sharing with the world his vision of recent Middle-East developments and the real reason for the three incursions into Gaza. Moreover he gave the world every indication that future incursions are on the cards. On the reasons for the frequent incursions into Gaza, Netanyahu was candid. And just in case any reader missed the Israeli government intent the journalist, D.M. Weinberg, iterated2. Parallel to the armed confrontations between Israel and the Palestinians the combatants engage in PR wars for the hearts and minds of the international community, with particular focus on the American public. We shall briefly review the PR wars in section 4. Away from the armed Israeli-Palestinian conflict it is important to delineate the prevailing social landscape in the region. Here we are indebted to the Palestinian depicted in Picture1 who brilliantly summarized the feelings of a typical Palestinian living in the occupied territories2a. And Prof Noam Chomsky offered us a complementary description of Israel’s recurring attacks on the Palestinians in Gaza2b. As the Gaza strip is the largest open air prison in the world Mouin Rabbani, reports another dimension of Israeli cruelty3. Dr Kevin Barrett4 shared with the world several glimpses into Israel’s social fabric. (i) Every time Israel embarks on a new round of wholesale slaughter in Gaza, polls show that more than 90% of Israelis support the butchery. (ii) When the IDF starts dropping cluster bombs, white phosphorous, DIME (Dense Inert Metal Explosive) munitions and other horrendous weapons on Gaza, crowds of Israelis pack the hilltops to barbecue meat, drink alcohol and cheer as they watch Palestinian children being blown to bits. (vi) In his book Goliath, Max Blumenthal – a young Jewish American from an influential family discusses the wildly popular Israeli best-seller Torat Ha’Melech, which advocates the wholesale murder of non-Jews. Torat Ha’Melech is not a marginalized radical screed; on the contrary, it is an authoritative guide for Israel soldiers. And its authors are two of Israel’s leading Rabbis, Yitzhak Shapira and Yosef Elitzur. 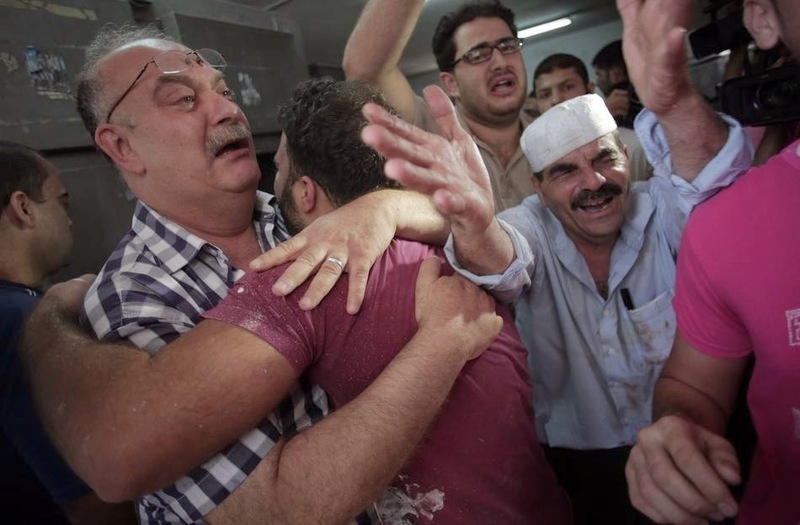 morgue of the Shifa hospital in Gaza City on July 12, 2014. 3 -World Reaction to Israel’s mowing of grass Policy. World reaction to the Gaza incursion and to Israel’s policy of “mowing the grass” was swift and negative in the International Press and the Internet. Israel’s supporters however tried hard to limit the damage to Israel’s standing. Tayyip Erdogan the PM of Turkey stated, “Israel surpasses Hitler in Barbarism5.” And at a political rally in the Black Sea city of Ordu, Erdogan told supporters. 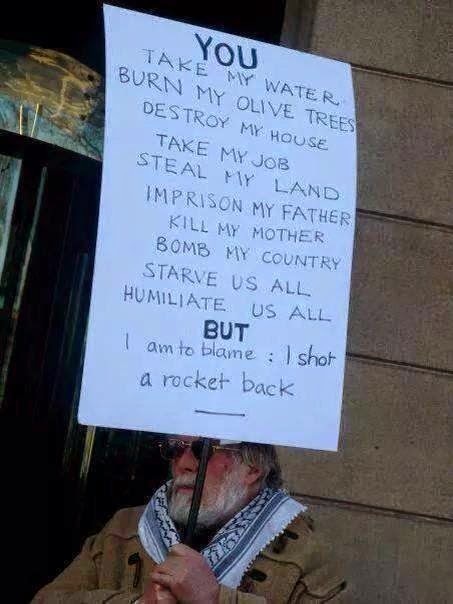 "(Israelis) have no conscience, no honour, no pride. Those who condemn Hitler day and night have surpassed Hitler in barbarism5." He also accused the United States of defending Israel's "disproportionate" tactics, and bemoaned the failure of the Muslim world to take a stronger stance5. Uruguayan President José Mujica condemned the attacks in a weekly radio show6. “The loss of perspective in the response is undermining Israel’s prestige and, I think, sullies the marvellous history of the Jewish people. Hatred and revenge do not work to build civilization,” he said. On the 30th of July 2014 the “U.N. Secretary-General Ban Ki-moon7 directly accused Israel of shelling a U.N.-protected shelter housing more than 3,000 Palestinians in Gaza as part of what he said was an "outrageous" and "unjustifiable" strike that left at least 16 civilians dead and lent urgency to the need for an "immediate, unconditional cease-fire”. Rihanna has come under fire for writing “#FreePalestine” on her Twitter account before deleting the post eight minutes later8. Her post published on Tuesday morning, was retweeted 7,000 times in this short space of time, according to NY MAG. She faced an explosive reaction from her followers, who questioned her decision to publicly support Palestinians in the Gaza Strip conflict. Zayn Malik of the British boy band One Direction was the latest bold-face name to voice his concern when he posted “#FreePalestine” on his Twitter account Sunday. His message had been retweeted 230,000 times, and favourited almost as often, among his 13 million followers worldwide9. “Omri Casspi9, one of Israel’s supporters, the first National Basketball Association (NBA) player born in Israel, put his feelings in capital letters. ‘600 missiles been fired from GAZA by Hamas in the last 4 days. NUMBERS DONT LIE. STOP LYING (sic),’ he tweeted in a July 13 tweet that is still in place. Any loss of life is regrettable but the destructive power of the Qassam rocket is relatively small; more precisely Palestinian rockets, which include the Qassam, alongside others such as the Grad rocket, have been used to kill 22 Israeli citizens and one Thai national during the period between the year 2000 and January 9, 200911. CNN has pulled the reporter, Diana Magnay, out of her post covering the Israeli-Palestinian conflict after she tweeted that Israelis who cheered every time bombs exploded in Gaza, were “scum”12. Moreover they threatened her, she alleged. The reporter eventually deleted the tweet, but not before it had been retweeted more than 200 times. A CNN spokeswoman said Magnay has been assigned to Moscow12. The US condemned the shelling of the UN school in Gaza but restocked Israeli ammunition13. The US is also to send $47M in humanitarian aid to Gaza Strip14. According to a State Department breakdown of the aid, nearly a third of the money — $15 million — will go to the United Nations’ refugee mission in Gaza14. For Jewish Israelis, and Palestinians living inside Israel, opposing the war is a dangerous act. With 86 percent of Israelis opposing the ceasefire, the overwhelming public attitude leaves anti-war activists in a precarious position15. The historian and social activist Ilan Papé16 and Miko Pelet17, the son of the Israeli general, Mattityahu Peled, are two activists among many outside Israel who consistently express humanitarian views and oppose Israel’s apartheid policies. Professor Noam Chomsky and Dr Kevin Barrett are also trustworthy humanitarian activists. The most famous and visible lobby group is the American Israel Public Affairs Committee (AIPAC). AIPAC and other lobby groups influence American public policy in a variety of ways such as through education, responding to criticism of Israel, and putting forth arguments in support of Israel. The Israel lobby is known for its success in encouraging U.S. lawmakers to support the policies that it supports19. Reference  lists the many Arab lobbies based in the US that support Arab causes. These lobbies are however funded by Arab countries. Tragically the present Israeli leadership does not espouse Rabin’s view that resonates with most world humanists. Moreover we can expect periodic incursions of the IDF into Gaza to mow the lawn, if the present leadership remains in power. The Palestinian and Israeli citizens are however too wise to await the coming of another Rabin to lead Israel once more. They know that deep down education is the key to the peaceful coexistence of both peoples and reference  lists the many Arab-Israeli Peace projects that promote understanding between all residents of Palestine and reject the outdated and harmful stereotypes about each other. Hand in Hand is a network of bilingual (Hebrew-Arabic) schools in which Jewish and Arab children study together21. It was founded in 1997 by two Israelis, one Arab and one Jewish, with the philosophy of breaking negative stereotypes, cultivating mutual respect and understanding, and providing a dynamic example that Jews and Arabs can study, work and live together in peace. Ala Khatib, a co-principal, said21,"never mind what is going on outside, whether it's bombing in Gaza or if it's suicide bombing in Tel Aviv, you can't stop school. You have to go to school, you have to face the other side, you have to say good morning, and you have to talk." The historian and social activist Ilan Papé16 and Miko Pelet17, the son of the Israeli general, Mattityahu Peled, are two activists among many outside Israel who consistently express humanitarian views and oppose Israel’s apartheid policies. Professor Noam Chomsky and Dr Kevin Barrett are also trustworthy and eloquent humanitarian activists. Wise Israeli and Palestinians actively promote education among all citizens of Palestine because they believe that education can transform the minds of people who prefer wars, mistrust and destruction. The pious hope is that in such a spiritual environment a new Rabin will emerge. I would like to conclude this short contribution by iterating Yitzhak Rabin’s observation, Military cemeteries in every corner of the world are silent testimony to the failure of national leaders to sanctify human life. I’m sure Rabin provides the inspiration to forward looking Israelis and Palestinians who believe the two peoples can live and prosper in Palestine, the Terra Sancta for Moslems and Jews. 2 –D M Weinberg. “KNOW COMMENT: Mowing the grass in Gaza – and beyond.” The Jerusalem Post, 13 Aug 2014. 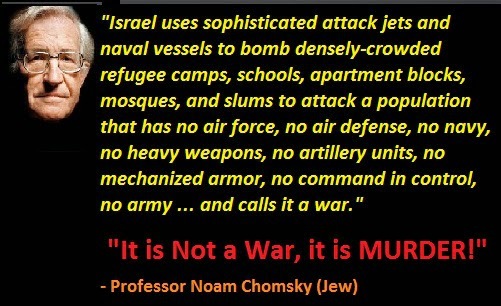 2b – Professor Noam Chomsky (Jew): “It is Not a War. It is Murder”! The socioecohistory.wordpress.com/2014/07/15/professor-noam-chomsky-jew-it-is-not-a-war-it-is-murder-the-genocide-of-palestinians-by-zionist-israel. 15 Jul 2014. by John Glaser, November 18, 2012, http://antiwar.com/blog. 3 –Mouin Rabbani. “Israel mows the lawn.” London Review of Books. Vol 36, No15- 31July 2014. P 8-10. 6 – Laura Carlsen. Aljazeera. “Why Latin American Leaders are standing up to Israel.” america.aljazeera.com/opinions/2014/8/latin-america-israelgazahumanrights.html. 7 – Colum Lynch. “U.N. Chief: Israel Responsible for ‘Reprehensible’ School attack.” The Foreign Policy Group. 8 – Sufi Rahimi. “Rihanna criticised for publishing then deleting #FreePalestine tweet.” The Telegraph. 16 Jul 2014. 9 – News.com.au. “Rihanna, One Direction’s Zayn Malik, and Selena Gomez among celebrities to anger fans with political tweets.” July 30, 2014. 12 – RT Question More. “CNN boots reporter from Israel-Gaza conflict after 'scum' tweet.” July 18, 2014. Miko Peled - Wikipedia, the free encyclopedia.